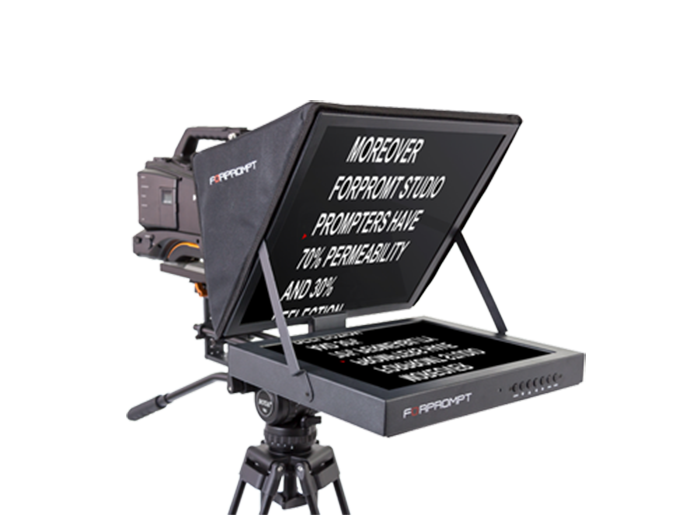 The Studio Teleprompter will be the right choice for studios. 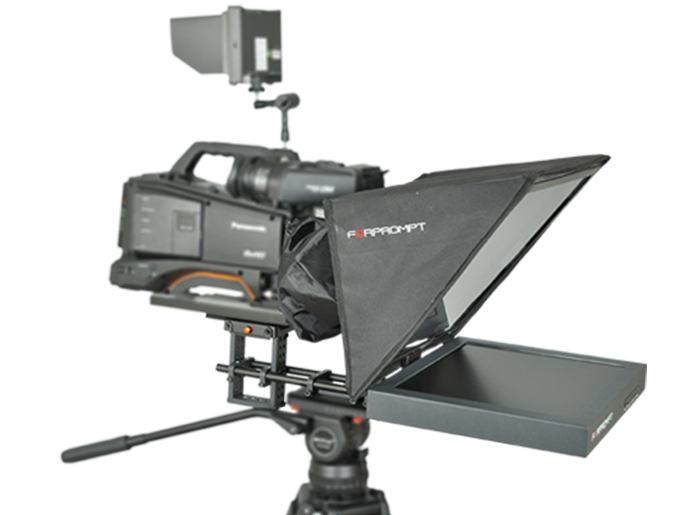 It is cost effective with ultra clear glass and ergonomic lightweight design. Most important is the “flip mirror” feature which is already embedded inside the hardware that provides the reverse view automatically. 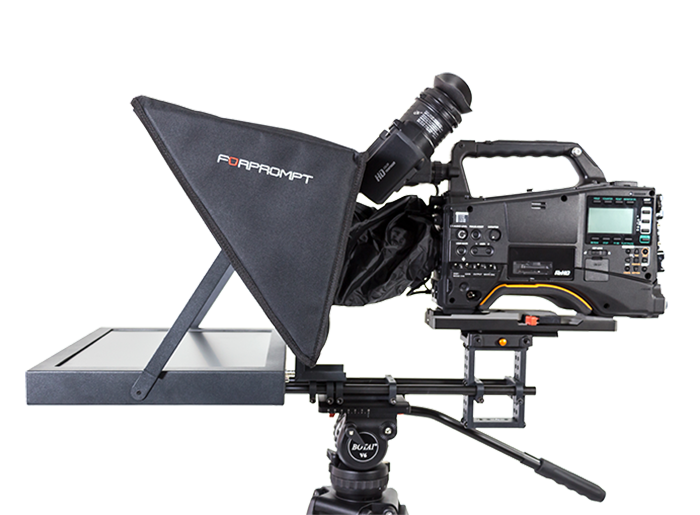 This one also supports any camera size Mini DV to ENG/HD and all Studio System Cameras.